More than 18 hours. That's how long the final day of the €1,100 PokerStars Festival Main Event Rozvadov lasted. At 12:30 p.m., 37 out of 1,123 entrants returned for the last day and their shot at PokerStars Festival glory. Little could they suspect that the winner would be crowned a little over 7:00 a.m in the morning. Petr Svoboda lifted the trophy after the grueling session. 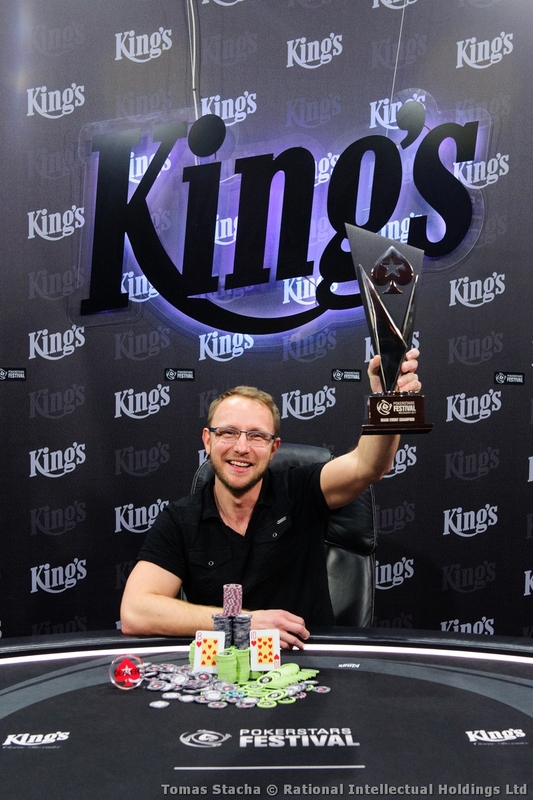 Svoboda received €124,346 for his amazing feat and is the second Main Event champion on European soil after Rehman Kessam won the inaugural event in London. Runner-up was Poland's Michal Lubas, who received €91,000. 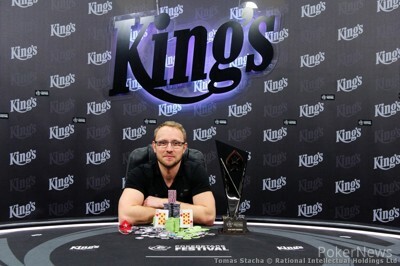 Stanislav Koleno of Slovakia finished third for €87,444. Long-time chipleader Peter Kamaras finished seventh, Team PokerStars Pro Bertrand "ElkY" Grospellier had a bad day and ended in 23rd and Kessam's back-to-back run came to an end in 34th place. The final day started off with 37 hopefuls, nearly all of them looking to make their biggest score of their career. In the early stages, Ioana Silvana, Lennart Dijkkamp and Lukas Zaskodny were forced to the rail. Rehman Kassam's dream of winning a second PokerStars Festival Main Event title didn't come through as he was eliminated early as well. He was quickly joined on the rail by the Czech Will Kassouf Martin Kabrhel. Karbhel held ace-ten against ace-nine, but a nine on the river forced his exit. For Team PokerStars Pro Bertrand "ElkY" Grospellier, everything went wrong on Day 3. Starting off as second in chips, Grospellier quickly tumbled down the leaderboard and wasn't able to turn it around. With his last eight big blinds, Grospellier was all in with jack-nine against king-jack and didn't improve. "ElkY" had to settle for a 23rd place. At the last two tables, Kamaras' stack got slashed in half by Michael Rohde. Rohde opened king-nine under the gun and Kamaras called with pocket kings. Three bets went in on a nine-seven-seven flop, before a nine hit the turn. 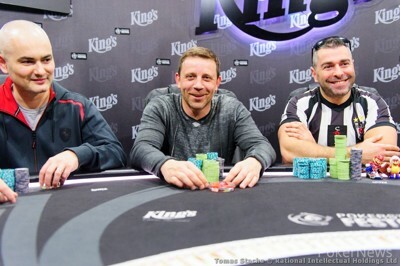 Kamaras paid off turn and river bets and Rohde suddenly found himself with a massive stack. Roman Kleyman, Robert Schünemann, Patrick Börnicke, Arünas Jocius, Mindaugas Jonuskis and Artürs Ščerbaks just missed out on the final table. The FT bubble boy was Leonardo Romeo, who lost a coin flip with ace-queen against pocket sixes. On the unofficial final table of nine, Dutchman Soray Kehya fell quickly with ace-jack against Cenk Oguz's ace-queen. Even though the final table started past midnight (Remember: players started playing at 12:30 p.m.!) it would take over two hours before the first player busted. Jan Stariat was the first player to be eliminated. 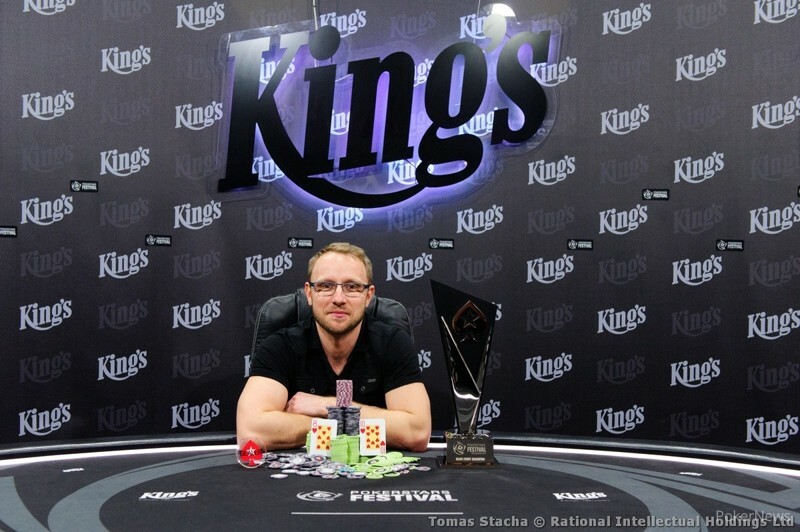 After Stanislav Koleno shoved with pocket nines, Stariat called the all in with ace-queen. The flop brought a queen, but the turn was a nine to eliminate Stariat. The impressive run of Kamaras came to an end in seventh place. 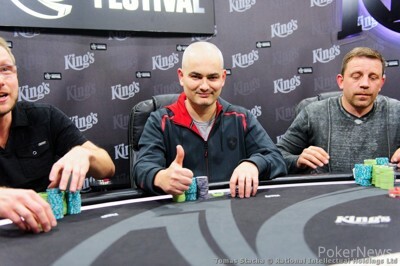 Kamaras, chipleader after Day 1 and Day 2, ran ace-king into Marian Flesar's pocket aces. Flesar couldn't enjoy Kamaras' chips for long, as the Slovakian made a misstep that cost him his entire stack. Holding king-ten on a king-eight-seven-jack board, Flesar overshoved all in. Rohde called with ten-nine to send Flesar to the rail in sixth place. The other four players instantly agreed on a deal afterwards, which left Petr Svorada with the most money. Michael Rohde was done after that and called all in with nine-three to get some much-deserved sleep. Stanislav Koleno flipped out with pocket sevens against ace-ten. Both Petr Svoboda and Michal Lubas still wanted to win and played a serious heads-up battle at 7 in the morning. The deciding hand saw Svoboda calling with ten-eight against the ace-six of Lubas. 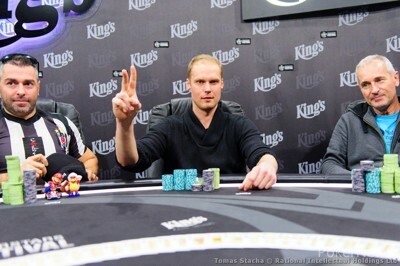 An eight on the flop sealed it for the Czech and delivered him the victory. That's all from the PokerNews live reporting at the King's Casino. An unending day eventually came to an end and a new winner from the record-breaking PokerStars Festival has been crowned. Make sure to check out our coverage of the PokerStars Championship Panama as we move to Latin America for the next stop in the brand new worldwide series. Michal Lubas shoved 5,600,000 and Petr Svoboda called. Svoboda took the lead on a flop. Lubas picked up some outs on the turn, but the on the river decided it. After 18,5 hours, the final day has finally come to an end. Michal Lubas may have missed out on the trophy, with a payday of €91,000 he can look back at a fantastic run. It's 6:45 in the morning here, but both heads-up players are still fiercely going at it. Besides the €5,000 difference they're playing for, the prestige is also a factor. This one isn't over yet folks. Stanislav Koleno shoved from the button and Michal Lubas reshoved from the small blind with . Lubas hit his ten on an board and Koleno was gone in third. After the deal, Michael Rohde was completely done with it. He called all in with after Petr Svoboda had shoved with . The board came down and Rohde could finally get some sleep. He received €78,966 for his astonishing run. The remaining four players have struck a deal! It's been almost eighteen hours since the start of the day, but these four survived and all walk away a lot richer. There's €10,000 left for the winner and €5,000 for the runner-up. With the elimination of Cenk Oguz, the other four players have engaged in talks about a deal. Will they reach an agreement this time?